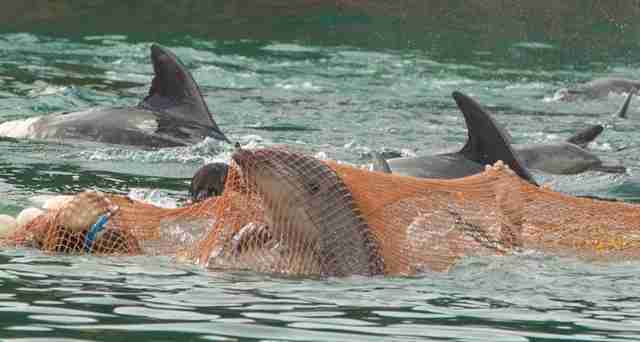 Right now, more than 200 dolphins are packed into a tiny sea pen off the coast of Taiji, Japan, waiting for the worst. Every year, Taiji's dolphin hunters hold a months-long hunt to round up dolphin families and drive them into the infamous Taiji cove. The prettiest dolphins are corralled off and sold to museums and marine parks, where they spend their lives in cramped tanks performing for tourists. The rest of the dolphins - the mothers and fathers, the babies, the ones who aren't attractive enough - are butchered for their meat, turning the water a bright red. In some cases, the infants are spared - but they're thrown back into the ocean, helpless and alone, and to fend for themselves. Usually the hunters will capture a smaller pod every few days. 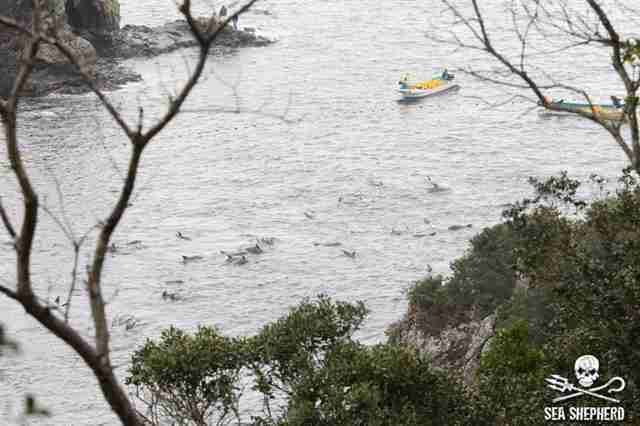 But on Friday in Japan, they found the worst possible thing: a superpod of hundreds of dolphins. According to Sea Shepherd, which has a team of monitors recording the situation, the hunters spotted the superpod on Friday morning. 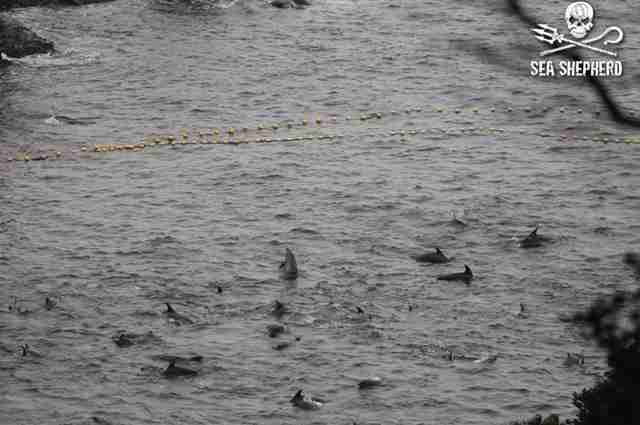 Using metal bars, which they bang on their boats to disorient the dolphins and disrupt their sonar, the hunters split the pod into two and drove them into the cove, dropping nets behind them to trap them. 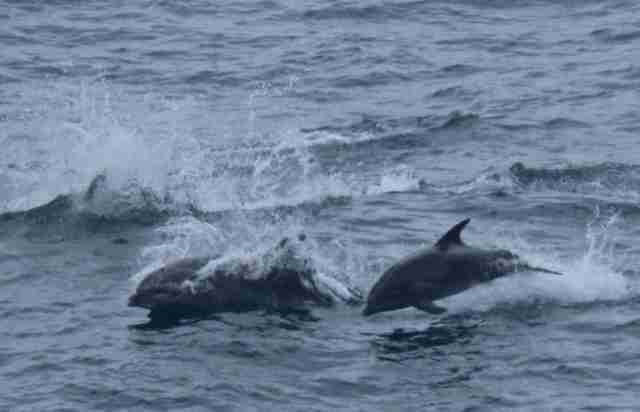 After they were trapped, the hunters left for the night, leaving the dolphins to wait overnight in the shallow, wintery water. "The skiffs and coast guard have left, leaving these dolphins here freezing and frightened," Sea Shepherd wrote. 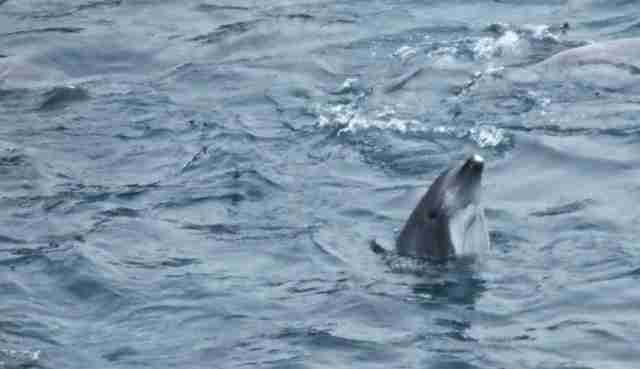 "Many, many juveniles and many dolphins spy-hopping, displaying scared and unnatural behaviour." 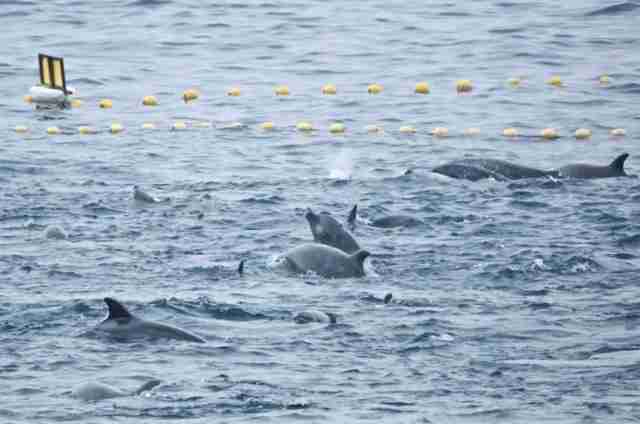 "At least 200 bottlenose dolphins are spending their final live moments in the cove in Taiji, netted off and awaiting potential captivity or slaughter," the team added. "There are many frightened babies with their mothers. This is not tradition, this is not culture; this is cruelty, this is torture." While proponents of the hunt often claim it's a tradition, the Taiji dolphin hunt is actually a recent invention; it wasn't until the modern availability of motorboats that hunters were even able to capture dolphins on such a massive scale. 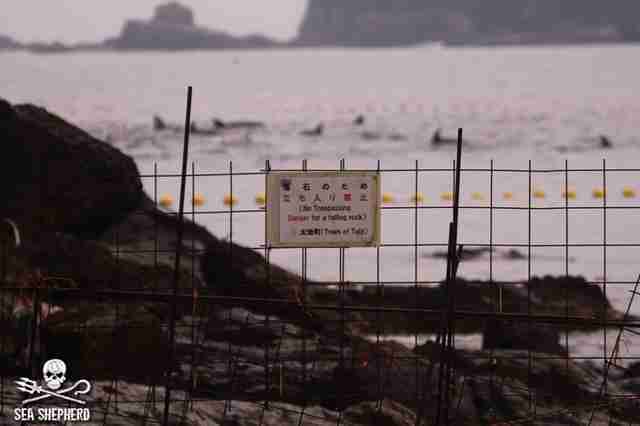 The hunt is associated with the city-run Taiji Whale Museum, which owns its own performing dolphins, and facilitates the trade between hunters and marine parks around the world. "These are the final hours that these mothers will spend with their babies," Sea Shepherd explained. "The dolphin hunters profit the largest by preying on juvenile bottlenose, ripping them from their mothers and forcing them into ... imprisonment." And yet there's little the on-the-ground volunteers can do. 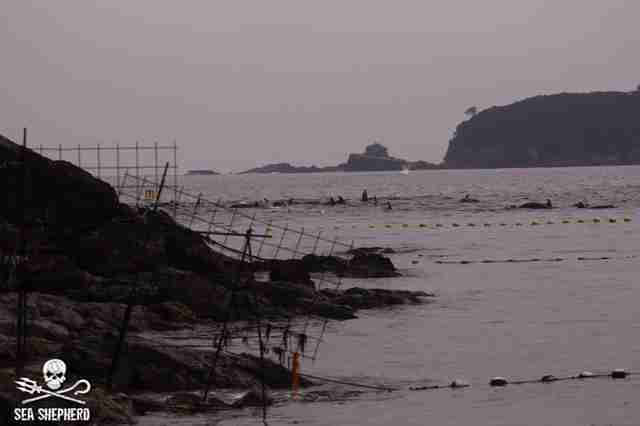 While groups like Sea Shepherd and The Dolphin Project send observers to the cove each year to make sure the world can see what's happening, the area is heavily policed - anyone attempting to interfere with the hunt would be arrested before they could get close. The groups are hoping that by publicizing the plight of the hundreds-strong family currently trapped in the cove, people will realize the massive scale of the hunt - and help spark the international pressure needed to finally shut down the infamous killing cove for good. 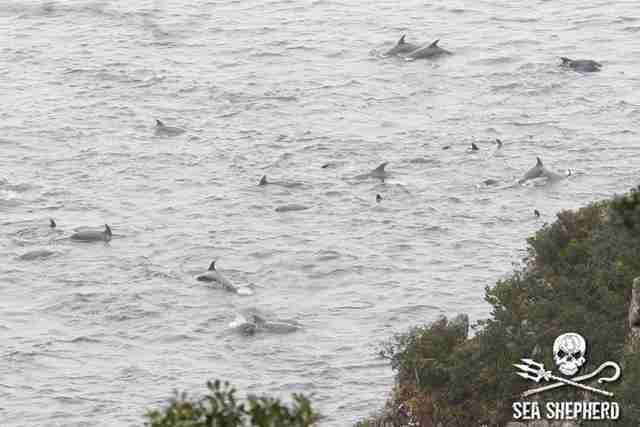 But for now, they're just trying to give these hundreds dolphins what comfort they can. The selection process, where dolphins are sorted out into the "sell" and "kill" piles, will likely take place on Saturday, but a group of volunteers elected to stay overnight with the dolphins to keep vigil with them until morning. 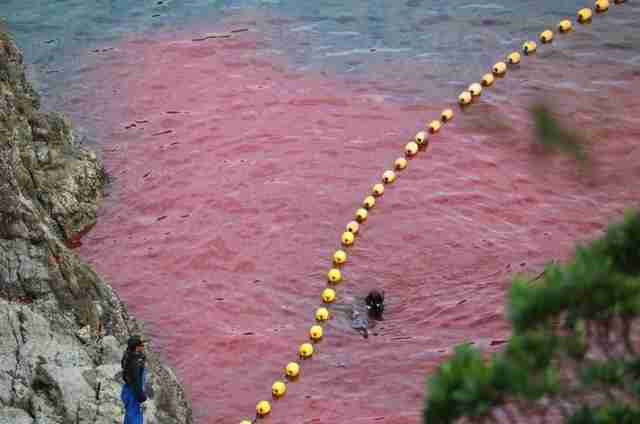 "We are here at the cove spending the final night of these dolphins by them," the team wrote. "Our attempt at an apology for what humankind has done to them."